Upon the advice of the president, the Admin. Director should issue notice of officer and board of directors’ meetings. After consultation with the president, the secretary could prepare copies of the agenda for such meetings. Maintain a record of attendance and prepare the minutes of all officers’ and directors’ meetings. Keep update records of all CCSHRM property, access and passwords for all accounts relating to CCSHRM (LinkedIN, Facebook, Banking accounts, CPA accountants, PO Box, MemberVue, Square, laptops, Tablets, website domain docs.). Those original chapter bylaws and dated copies of each amendment to those bylaws. Copies of all chapter publications. Approved and signed minutes of all board of directors and membership meetings. Must be a SHRM member in good standing elected by the Chapter membership. Provide timely and comprehensive information to chapter members about programs, workshops, and other matters of interest via monthly Chapter newsletter and the Chapter website. Oversee and revise the publishing of a monthly Chapter newsletter with articles being provided by Chapter Board of Directors and members. Maintain content of Chapter web page. Gather, compile, and revise content provided by the Board of Directors and members for monthly newsletter. Research and gather articles on current issues to be used as filler articles for the newsletter. Serve as the point of contact with the vendor providing technical and formatting service for the newsletter. Handle requests for communication with members and forward information and/or requests to appropriate board member. Attend and participate in all monthly general luncheon and Board Meetings. Other assignments as requested by the President and/or the Board. Provide general administration and oversight to web site on an on-going basis. Perform regular monitoring of site to ensure accuracy of links, consistent page design/flow, and identification of new projects to improve site design, efficiency, and technology. Coordinate with webmaster to ensure that all Internet Standards are met and that the Association does not intentionally violate any standards that would place the web site in jeopardy. Oversee and manage the marketing and public relations activities of the Chapter to promote the Human Resource profession. Direct all marketing and public relations activities of the Chapter. Participate on planning committees on behalf of HRACC such as the Workplace Conference, Career Development Series, Partnering for Success mentoring program, etc. Develop relationship with local media representatives to assist in the promotion of Human Resource issues. Write articles for HRACC newsletter, local newspaper, professional publications, web site etc. Submit monthly meeting information for calendar of events in local media publications. Contact members to obtain monthly raffle prize. Responsible for selling raffle tickets and collecting monies at monthly luncheons. Attend and participate in all monthly general luncheons and Board Meetings. Other assignments as requested by the President and / or the Board. Manage and coordinate for All chapter activities and events. Maintain good standing as a SHRM member. Educates, promotes and represents the interest of the SHRM Foundation and its activities to the Chapter. Educates the Chapter membership regarding the existence, purpose and ongoing activities of the SHRM Foundation. Encourages the Chapter membership to contribute financially to the SHRM Foundation as a show of support for the human resources profession. Encourages the Chapter membership to support an annual contribution to the SHRM Foundation by the Chapter. Advises and updates the Chapter membership to support the Foundation’s activities and fundraising needs. Monitor and evaluate on a regular basis pending legislative, regulatory and legal action at the federal, state and local level, which may have an impact on the management of Human Resources. Inform elected officials of Chapter’s position on legislation affecting the Human Resource profession. Monitor state and local government activities and provide timely information on public policy issues to Chapter President and Board Members. Initiate action in response to legislative alerts under SHRM’s grassroots legislative action program after coordination with the State Legislative Affairs Director of the National Headquarters staff. Promote and support workshops and seminars that address legislative affairs issues. Write legislative articles (monthly) for newsletter. Provide a legislative report to members at Chapter meetings. Attend the Annual Legislative Conference in Sacramento. Oversee and manage the marketing, sponsorships, and public relations activities of the chapter. Work with membership director to identify and improve vendor-membership relations and cultivate sponsorships for chapter events – mixers, Foundation event, workplace conference, and monthly luncheons. Help develop and manage annual sponsorship levels for CCSHRM events – Luncheons, mixers, workplace conferences, and website sponsorship. Help design, update, manage, and distribute CCSHRM marketing material as needed. Complete other assignments as requested by the president or the board of directors. Respond to all inquiries pertaining to membership and forward packets of information to interested parties. Run the membership booth at all luncheons. Conduct annual membership drive activities. Contact potential members and work to retain current members. Present all applications of membership to the board for approval. Notify each applicant in writing of membership approval or denial through email or correspondence. Introduce all new members at the monthly meeting and provide them new member packets. Order and maintain the name badges for the members use at the monthly luncheon meetings. Maintain membership supplies, chapter and SHRM membership applications, information brochures, badges, etc. and bring to monthly luncheons. Conduct quarterly new member events (new member welcome breakfast, mixers, and lunches). Prepare a monthly newsletter article on new members, and membership drive activities as necessary. Carry out ad hoc assignments of the President. Serve as an advisor to the President and Board of Directors providing strategic direction and continuity for programs and services provided to the membership. Oversee the Certification Program. Share the historical information from past years, as needed. Coordinate the local Study Group and Certification Testing Program. Responsible for all phases of the annual Chapter student scholarship program. Provides leadership to the local Chapter consistent with state, area and national Society policies, strategies and objectives. Responsible for operating the Chapter effectively so that the needs of the members are met. Performs other duties as required by the local Chapter’s bylaws. 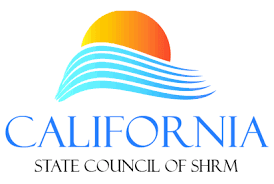 Serve as a voting member of the California State Council of SHRM. Conduct the business of the Chapter in accordance with the Chapter bylaws and serve as chairperson of the Board of Directors. Preside over the activities of all officers and directors, as well as standing committees, to ensure that Chapter goals, objectives and strategies are accomplished. Monitor the use, accounting and handling of Chapter funds. Initiate the development and implementation of short-term and long-term strategy planning for the Chapter. Write articles monthly for newsletter. Prepare agenda for board meetings and forward to Directors prior to scheduled date. Attend California State Council of SHRM meetings and actively participate in Council matters. Serve as an elected representative of the Chapter. Communicate state, area and / or national goals, policies and programs to Chapter members. Represent the State Council to local Chapter leaders and the membership. Must be an active member of National SHRM in addition to our Chapter (CCSHRM) membership. Must have previous CCSHRM Board experience (minimum one year). Serve as liaison between the SHRM Student Board Members, Higher Educational Institutions HRM Professors, Chapter Board Members and HR Professionals. Serve as liaison between the Student Board Members and Chapter’s Board Members. Attend Student Chapter Membership Meetings. Promote the Student Chapter’s programs, projects and activities. Help coordinate the mentor and job shadow programs. Promote and support the internship program. Recommend community service projects for Student Chapter involvement. Coordinate student award applications and present to Board Members for vote. Attend presentation at the Sid Craig School of Business Graduation luncheon. Recommend changes to award program (i.e., amount of award, number of recipients, etc.). Participate in the development and implementation of short-term and long-term strategic planning for the Student Chapter and local Chapter. Must be an active National SHRM Member in addition to a chapter (CCSHRM) member. Oversee the financial obligations of the Chapter, specifically accounting for all income and expenses of the organization. The treasurer will receive, hold and safeguard, in the capacity of trustee and financial agent, all funds for the Chapter. The treasurer will disburse such funds only for normal and usual expenses unless the Board of Directors shall otherwise direct. The treasurer will record all transactions and maintain a current complete set of accounting records. All funds received and disbursed must be recorded. Reconcile banking statements monthly; prepare and make deposits. Using the account records, the treasurer will prepare a monthly report of the Chapter’s financial condition and present report at each Board Meeting. Issue 1099-MISC at year end as applicable. Coordinate with outside CPA for completion and filing of tax returns. Deposit cash and checks in the bank as necessary. Work with the President to present an annual budget to the Board. Create invoices for sponsorships as needed. Pick up mail at the Post Office as necessary. Must be a CCSHRM member in good standing elected by the Chapter membership. Accountable for securing guest speakers for monthly luncheon and evening seminars. Responsible for obtaining monthly SHRM/HRCI program credits. Assist the Chapter President in overseeing all activities of the Chapter. 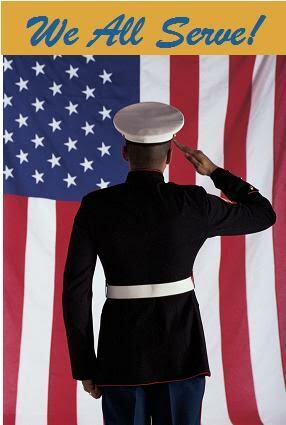 Perform Chapter Presidents responsibilities in his/her absence. Special Projects: Assist Chapter President as assigned or requested. 3 year commitment: Vice President, President, Past President. Serves as an appointed member of the chapter board of directors. Monitors and evaluates on a continuing basis local activities concerning workforce readiness and diversity issues, and plans and encourages chapter involvement and activities impacting the workforce readiness arena. Works with Vice President to help coordinate and plan a diversity topic/speaker for Octobers’ luncheon. Presents a report or update to the chapter president and fellow chapter members. Works in cooperation with state-level workforce readiness advocates. Serve as advocate and program coordinator for workforce readiness and diversity chapter activities. Manage HR job postings for our website. Identify and evaluate issues that impact workforce readiness/diversity and develop goals for a chapter strategy. Report on issues to chapter members and serve as advocate at chapter activities for education programs. Monitor local activities concerning workforce readiness and diversity and provide timely information on education issues to the chapter president and state workforce readiness director. Develop and support workshops and seminars that address workforce readiness and/or diversity issues.